Successfully translated business-critical SOP reports – 121 files (400,000+ words) – for one of the world’s top pharmaceutical companies in 40 business days. The translated content is accurate and meets the requirements of pharmaceutical standard. It is crucially important for us… We are happy and satisfied to collaborate with Ulatus. Thank you Ulatus team. Quality Assurance Having had a poor first experience with their erstwhile translators, Alvogen were looking for localization partners that could meet high quality benchmarks and guarantee consistency across all 121 files. Ulatus was expected to go the extra mile to deliver that assurance. Turnaround Time The project-necessitated delivery of some 400,000+ words in 40 days. This equates to 10,000+ words every day, delivered via human translation. A challenging task to say the least, given that such projects usually allow for three to four months of turnaround time with a single translation team. High Accuracy Combined with Highly Technical Content The content shared by Alvogen (SOP reports – Equipment Qualification Protocols, Quality Assurance Manuals, Quality System Manuals, and suchlike) was very technical and heavily interspersed with pharmaceutical terminology. It needed the involvement of highly specialized subject-matter experts who could accurately and contextually translate the content. Ulatus MethodologyUlatus offered trial translation on some of the content which allayed client’s concerns as to the output quality, prior to the contract. Furthermore, Ulatus also proposed batch-wise delivery of the project to enable smoother processing of the assignment, thereby minimizing iterations and eventual TAT. Multiple Resources The deadlines indicated by the client were incredibly challenging for the volume required. This necessitated the deployment of multiple resources, drawn from Ulatus bank of over 3000 translators, who worked collaboratively to collectively deliver on the project deadline. Dedicated Project LeadThe project was assigned to a dedicated account manager, able to streamline processes and manage resources to keep all periodic deliveries on track, while keeping a constant check on the quality being provided. Subject-Matter ExpertiseEvery member of the translation team was pre-screened and tested for their subject-matter expertise, not just with respect to the pharmaceutical discipline, but also their experience of working on SOP reports and the like. A single bilingual checker was assigned to look over the project. That, combined with powerful in-house tools helped maintain consistency throughout the project. Technical ConsistencyEnsuring consistency across a project of this size was a significant challenge. The use of in-house technology along with the involvement of just a single bilingual checker so that the consistency would be maintained. Additional Quality AnalysisAlthough the client requested only the Translation + Translation Check service, we implemented an additional QA step, wherein our in-house quality expert assessed each translated files for accuracy and consistency before sending the files to the translation checker. 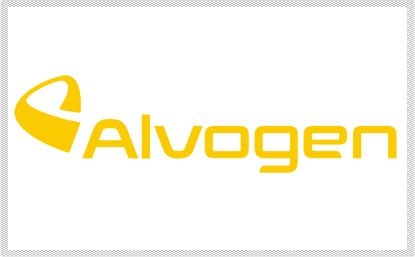 “Alvogen (Lotus) is a global Generic Drug	factory. Our business goal is "global operation, local management. The documents Alvogen (Lotus) delivered to Ulatus are the SOP (Standard Operating Procedure) for process standards/equipment management/user guidelines of the pharmaceutical industry. The translated content is accurate and meets the requirements of pharmaceutical standard. It is crucially important for us. Ulatus completed 400,000+ words of translation in 40 business days, all delivered on time; at the same time, the translation quality is also fully achieved to the level required by Alvogen (Lotus). We are happy and satisfied to collaborate with Ulatus.